2019 WJCL Convention: State convention was held January 31st to February 2nd at the Inn at the Park Hotel in downtown Madison. We did great this year! We won the service award, our Latin 1 Certamen team got first place, our Latin 3 Certamen team got third place, our t-shirt won the t-shirt contest, we won the spirit award for medium school and we won roll call! 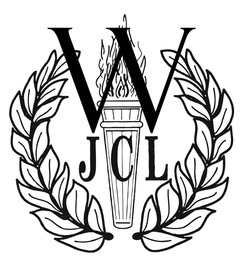 2018 WJCL State Convention: Students from all levels of Latin attended the state convention at the Inn at the Park Hotel from January 25th to the 27th. Madison West won 1st place in the Spirit Competition! In addition, Hope Judge was elected to be the 1st VP for the WJCL board! Capture the Helen: Capture the Helen took place after the WJCL meeting hosted by Homestead High School. Homecoming Parade: West Latin Club walked in the homecoming club parade on Friday the 15th. Pop Tab Fundraiser: West Latin Club has started a fundraiser of collecting pop tabs (the metal top used to open the soda can) to raise money for our club, so bring pop tabs to the Latin room and support West Latin! Mags' Potluck: The potluck will be held on Sunday, May 7 from 12-4 PM at Mags' farm, family and friends are welcome. Election Results: Here is our 2017-2018 West Latin Board! Latin Room Potluck: People brought food into the Latin room and we had a wonderful lunch period! WJCL State Convention: Some Mad West Latin students attended the WJCL state convention held in Madison near the Capitol on Jan 26th-28th. Eurydice at APT: 30 West Latin students travelled to American Players Theater to attend Eurydice. Homecoming Parade: Friday, October 7th, we will walk in the parade. Latin Club: Club for the 2016-2017 year has begun! Nationals: National convention was held at Indiana University in Bloomington, IN. It lasted from July 25th until July 29th. Mags' Potluck: There was a potluck held at Mags' farm on May 22nd. Food was enjoyed and affection toward animals was at large! Emergency Election: The Emergency Election was held on May 4th. Matthew Staples now holds the position of Technology Coordinator. If anyone has any questions for any of the board members, you can find their email on the contacts page. Hope everyone is having a wonderful spring!